President Donald Trump’s recent declaration of a public-health emergency for the opioid epidemic is mostly meaningless without more dollars for treatment. President Donald Trump recently declared a public-health emergency for the opioid epidemic. The announcement was mostly meaningless to opioid addicts and the people trying to help them because it did not include any useful new ideas or dollars to fight the epidemic, which killed nearly 700 people in Washington last year. The few details offered with the declaration are especially troubling. The government could redirect resources, potentially taking public-health dollars away from other urgent needs. A renewed focus on prevention, instead of treatment, is also problematic. The president seemed especially keen on reviving a “say no to drugs”-style advertising campaign. Past attempts using advertising to prevent drug abuse have had no effect and may have even encouraged some kids to try drugs, according to national researchfunded by the federal government. 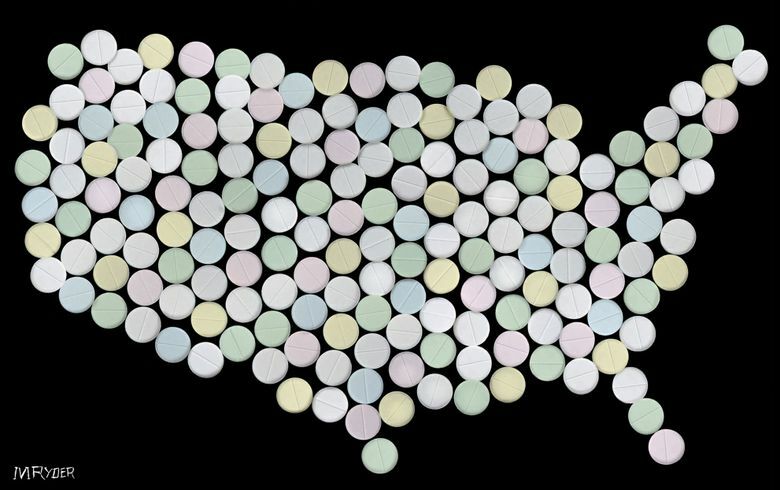 Prescription opioid drug deaths have quadrupled nationally since 1999, according to the Centers for Disease Control and Prevention. More than 100 people die every day because of the epidemic. The research is clear: Medication is the best hope to get addicts off opioids — both prescription drugs and heroin — but that medication is expensive. If the president truly cares about the epidemic, he should look closer at what is actually working right now in places like Washington state and promise to renew grant money that is offering treatment to more people. Caleb Banta-Green, a researcher at the University of Washington’s Alcohol and Drug Abuse Institute, says federal drug treatment grants from the Obama administration are starting to make a measurable impact on the epidemic in Washington because they make money available for treatment medication, including the newer drug buprenorphine and the more traditional methadone. But there’s so much more that could be done. First, those grants that are being used to set up drug treatment centers across the state, in both rural and urban areas, are limited in scope. Washington state was given $12 million in federal dollars from the bipartisan Cures Act adopted by Congress nearly a year ago, with no expectation that the grants would last more than a year. The Cures Act included $1 billion for opioid treatment, aimed at reaching underserved populations, particularly in rural areas. If the Trump administration wants to make a difference in fighting the opioid epidemic, it will continue to make this treatment money available and not throw away cash on ineffective TV campaigns.